Forty years after Mungo Man was unearthed in the dunes of western New South Wales, the geologist who made the discovery is urging the NSW government to speed up repatriation of the remains. 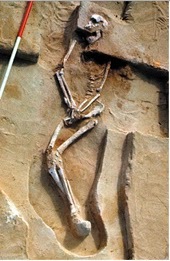 Professor Jim Bowler said the process of returning the remains dated at more than 40,000 years old, whose 1974 discovery confirmed that Indigenous Australians belonged to the world’s oldest continuing culture, had “stalled”, and needed to be “dealt with quickly, and dealt with authoritatively by [NSW environment minister] Robyn Parker”. Bowler said the World Heritage-listed Willandra Lakes region, where the remains where found, was being improperly managed and could soon “fall into a stage that we would regret, unless moves are made to put management into a better, more efficient level of operation”. It had been hoped that the repatriation would take place on Wednesday, 40 years to the day since Bowler made his famous find. But obstacles meant it would still be “some weeks” before Mungo Man was returned to country, he said. Bowler discovered Mungo Man (though some local Aboriginal elders insist it was the other way around) while conducting geological research in the dried-up lake basins of far-western NSW. The rich sands had, five years before, yielded the 20,000-year-old remains of a woman, dubbed Mungo Lady, whose bones showed signs of ritualistic cremation and burial, evidence she had belonged to a developed culture. That afternoon, heavy rain had battered the dunes, forcing the geologist to take shelter. When he emerged, he spotted a patch of bone glinting in the shore of a then unnamed lake. He brushed away the sand to reveal an intact jawbone. Archaeologists would soon unearth Mungo Man, the oldest skeleton ever discovered in Australia. 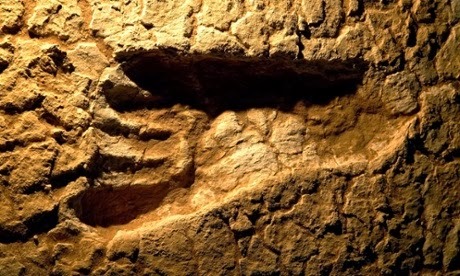 Dated at 41,000 years old, it more than doubled previous estimates of the length of human settlement in Australia. Mungo Lady was returned to what is now called Lake Mungo national park in 1991, and is awaiting reburial. Bowler said he hoped to forge an agreement with the local Aboriginal people to allow scientists future access to both her and Mungo Man. He was also working to “develop a forum with scientists, Aboriginal people and the community, to discuss the incredible significance of this turning point in Australian history”. “There will be a national dialogue about the contribution of these remains. They are the iconic foundations for the World Heritage area. They have defined the almost sacred nature of Aboriginal connections with land,” he said. Parker said in a statement: “The NSW Office of Environment and Heritage and the Aboriginal community at Mungo are in discussion about how to best manage the repatriation of remains to Mungo national park, including those of Mungo Man. “These discussions and associated planning is now occurring while the current keeping place at Mungo national park is being upgraded to improve its cultural appropriateness in readiness. The Amazon Women: Is There Any Truth Behind the Myth? The controversial Petralona skull and Greek government suppression of information. Gas masks, skulls and bullets: Haunting underwater World War II artefacts from ship graveyard in Chuuk Lagoon captured by British photographer. Has the mystery of the Lost Persian Army finally been solved? Have Russians Discovered Ancient 'Super-Megalithic' Architecture in Siberia? The Race to save Mes Aynak.